What ARE the Akashic Records? Tune in to find out. Our guest this Friday is Barbara Schiffman. She is an Akashic Records Certified Teacher and Advanced Practitioner affiliated with Linda Howe’s Center for Akashic Studies which is based in the Chicago area. She offers private Akashic coaching sessions by phone or in person. She loves to teach people to access their own Akashic Records (their Soul-level energy archives) for guidance, clarity, creativity and spiritual healing. She also teaches Akashic applications workshops — such as The Akashic Muse workshop which is about collaborating with your Akashic Records for writing and other creative endeavors. Barbara also use astrology and Tarot archetypes in her personal evolution work and as “energy languages” in her work with others. Or call her to schedule a session 818-415-3479, it’s the faster way for scheduling with Barbara. 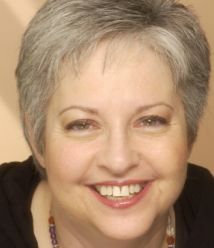 Barbara is author of: 2012 – Creating Your Own Shift (anthology book, published by Shift Awareness Books) and Living in Balance for Boomers (an ebook). They are available on her website and Amazon.